Linder Young Learners Academy (also lovingly known as LINDER) is a locally owned and operated business providing preschool and Private Pre Kindergarten education to children beginning at age 6 weeks through 5 years, in Northwest Houston and surrounding areas. We also excited to offer an engaging after-school program for children through age 12. In addition, we offer two clinic rooms that specialize in children with Autism. Our Learning Lane at Linder program serves learners with autism or other language delays ranging in ages from 12 months to 7 years old. Absolutely love our new childcare facility. Just left parent-teacher night and I’m excited about our daughter’s school year. The staff is welcoming, professional, and knowledgeable. LINDER is a uniform school. To order uniforms, please visit LINDER's Lands' End Uniform Page. Tiesha has over ten years of experience in the child care industry. She has been at Linder Young Learners Academy for eight of those ten years. She started as an assistant teacher, in the 18 month old class. Tiesha has worked in many capacities at Linder, including lead teacher in the two and three year old classrooms. 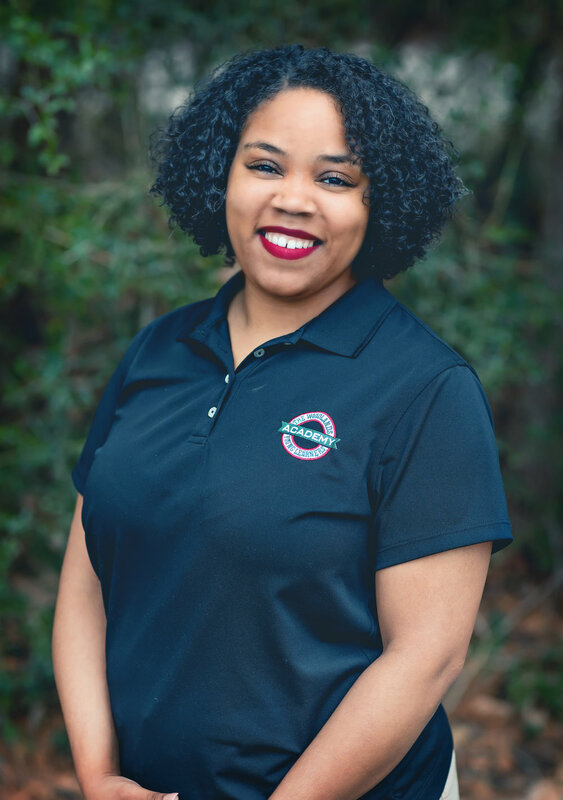 In 2015, Tiesha moved into an administrative roll and has been in the front office supporting our teachers and families ever since. In 2017, she achieved her Director’s Accreditation from Tim the Trainer. Tiesha has said the best thing about being at Linder is that everyone is a family. She loves the support she gets from the owners of The Young Learners - they truly embody that family atmosphere! Tiesha has been married for 20 years and has four children. She enjoys spending time with her family when she is not with her work family.